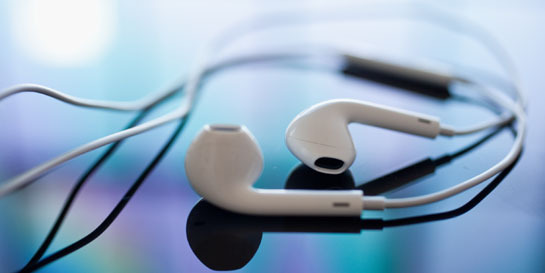 Apple EarPod - a sound revolution? iPhone 5 is being billed as the biggest thing to happen to iPhone since iPhone. But, that’s not all there is. In amongst all the hype and controversy about screen size, battery life and the new Lightning 8-pin connector, music obsessed Apple fans have something to cheer because of the big leap in audio technology the company has made. Of course, what Ward actually means is the newly styled EarPods that will come as standard with the new phones - and also be sold as standalone pieces - on September 21. Since Apple first launched the iPod a decade ago, it has included a pair of Earbuds with every device and the company estimates it has shipped something like 600 million sets. The white plastic buds with the white cable became an instant badge for early adopters, who would sneer at anyone sporting the more ubiquitous black headphone cables available with other - less hip - music players and smart phones. Apple realised they were missing a trick; they weren’t pleasing a lot of serious music fans, who have more recently begun investing in Beats by Dre headphones, Sennheiser, Bose and hi-end other over-the-head cans to listen to The Who’s Baba O’Riley or Video Games by Lana del Ray from their iTunes collection. To overcome this Apple engineers attempted to find the most popular ear type by using optical scans combined with silicone molding. That led to 3D moulds and, eventually, creating something that would fit the geometry of most people’s ears. That, claims the spokesman, gives the new EarPods their unique look and also makes them more comfortable than the previous earbud and - they claim - those of their competitors. Apple tested the new design on more than 600 people and had them recreating everyday work and play scenarios: some were asked to run on exercise treadmills, shake their head side to side as if listening to Status Quo or Rainbow, even doing a full cardio workout. The result, they say, is a more stable and durable EarPod which provides better protection from sweat and - important this one - don’t fall out part of the way through Born This Way. But, shape is only half the story. Apple sound engineers, or acousticians as they like to be called, focused on improving sound quality too. The target they set for themselves was to reproduce the quality of sound a person sitting in a room listening to high-quality would hear. The acousticians re-engineered the earbud speaker diaphragm to minimise sound loss and maximise sound output. Strategically placed acoustic vents, which allow air inside the stem to act as an acoustic chamber and create a deeper, richer bass tone, have also been added to the mix. The new EarPods also include a built-in remote that can adjust the volume, control the playback of music and video and answer or end calls with a pinch of the cord. He’s not far off. The new, slick retro-futuristic design is certainly eye catching. Unfortunately, the Apple store in LA’s The Grove didn’t have any stock for bloggers to test before the big sales day. However, a trip down to one of LA’s best known Apple service and rental stores, MacEnthusiasts on Pico Boulevard, yielded one realible witness who would testify to the sound quality. Mike (a typical nerd, he would only supply his first name) says he has seen and used the new EarPod for most of one day (he borrowed it off his apartment share, who works on a gadget magazine). Mike’s verdict? Better, but not the holy grail Apple have been promising. Mike rated the EarPod on looks - “they’re a nice shape” - but he wasn’t convinced the shape was any better at keeping the things in (his) ears. One pod was tight in his ear, the other loose. “I might have funny shaped ears I guess,” he says by way of explanation. He wasn’t wasn’t able to say if the fit made them more effective at stopping music leaking out. So on the basis of the “Mike-test”, it doesn’t seem the new EarPods will dissuade anyone from throwing away a serious pair of headphones. That part about a “person sitting in a room listening to high-quality speakers?” Not even close. “No, what they are, they’re basically good quality earbuds. 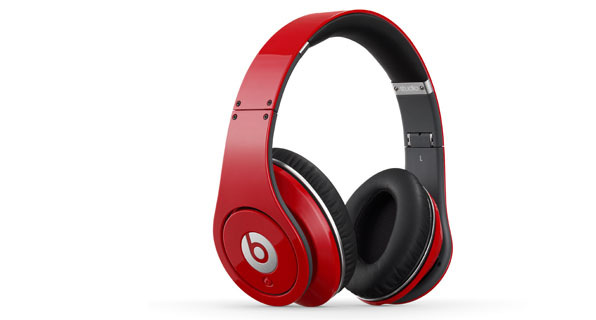 They’re good, but nothing like a pair of speakers or even good headphones,” Mike argues. However, he adds the bass featured a lot more and the EarPod is a “big improvement” on what went before. “Just for listening, in a coffee shop or something, they’re great. Much better than before. But, not a substitute for real hi-fi,” says Mike. 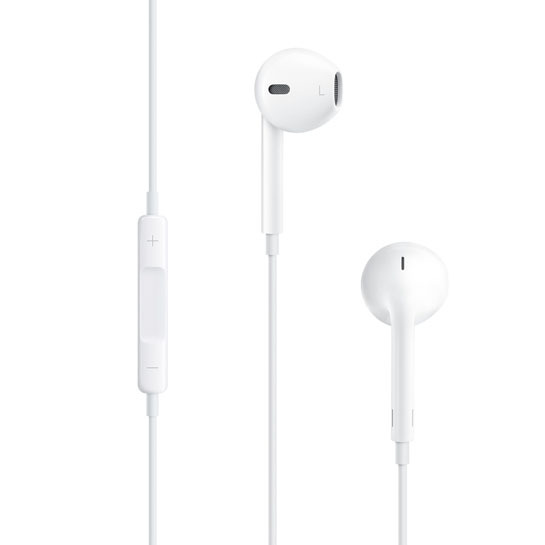 So it seems Apple has made a good move with its new in-ear headphone. They definitely raise the bar and, after more than 10 years, it’s about time. Good for the metro, a plane journey or a boring meeting. But, if you’re the kind of person who wants to appreciate all the subtly, shades of emotion and controlled power produced by an artist like Johnny Cash or Diana Ross then go with the Dr Dre.